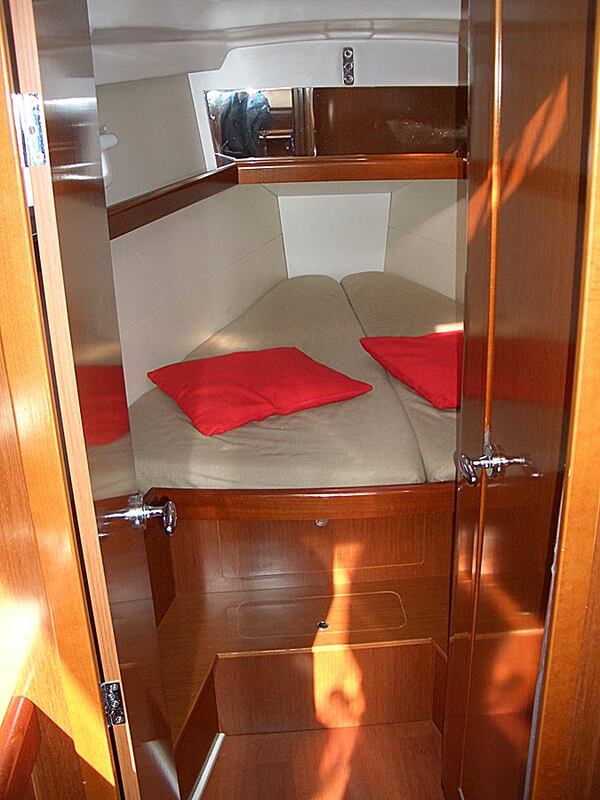 The perfect comfort for a six-persons crew. 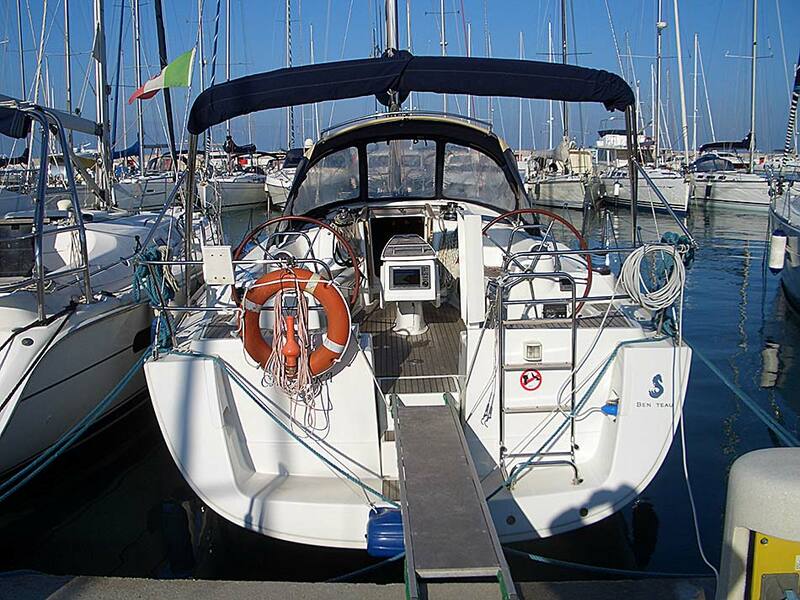 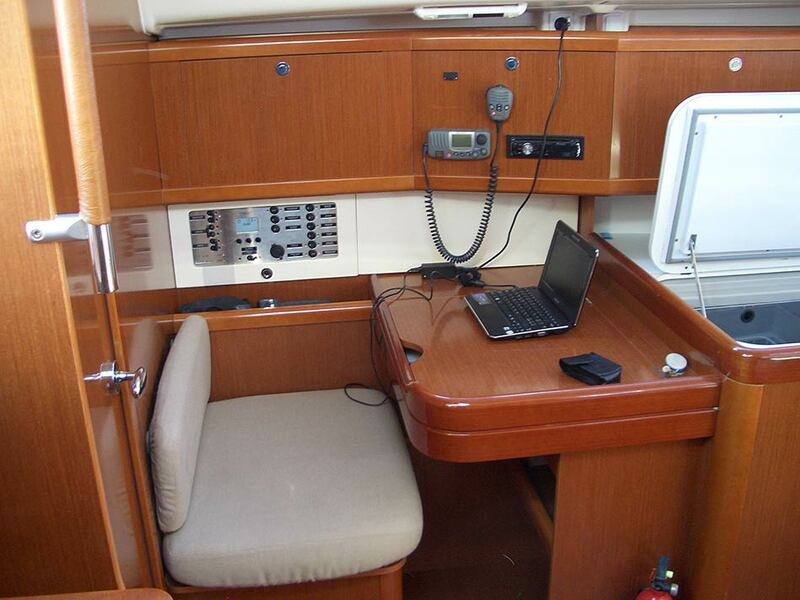 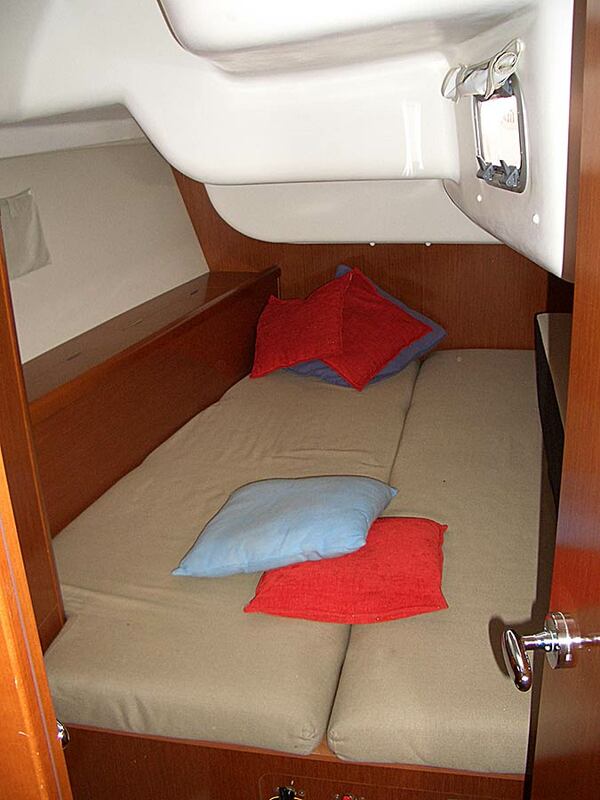 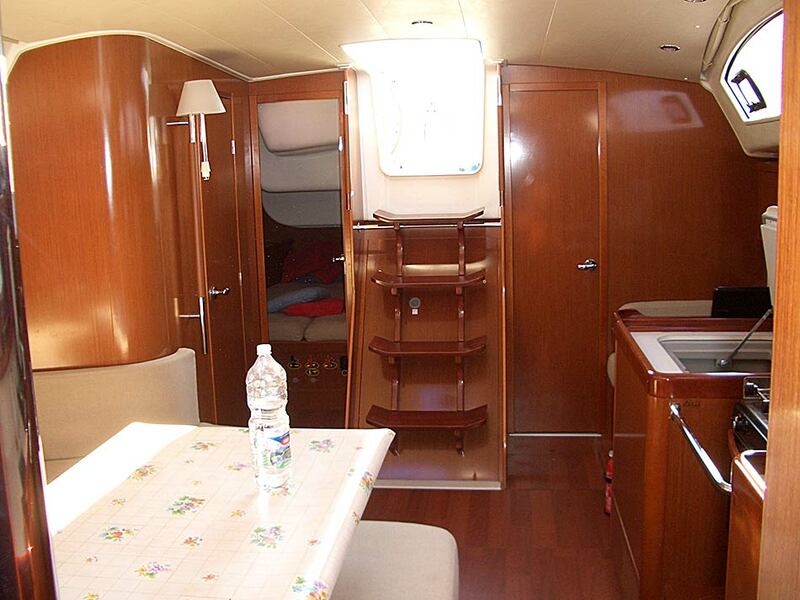 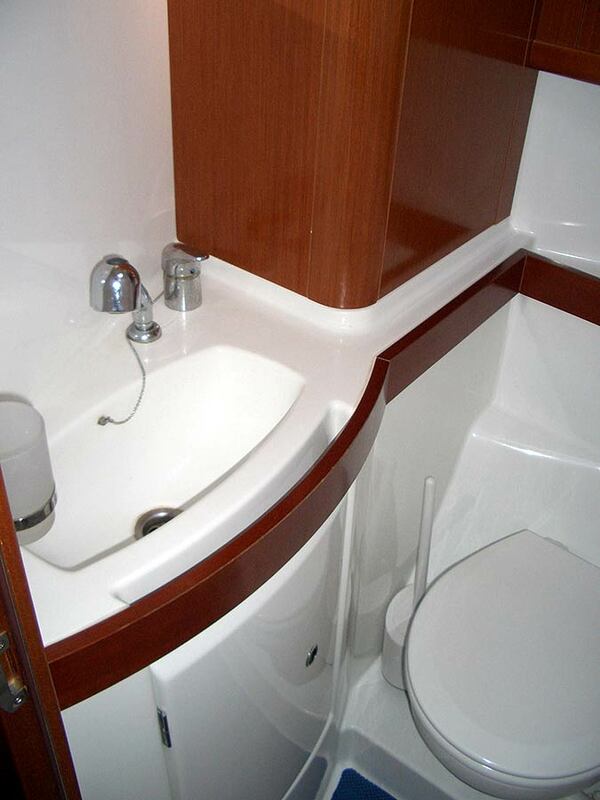 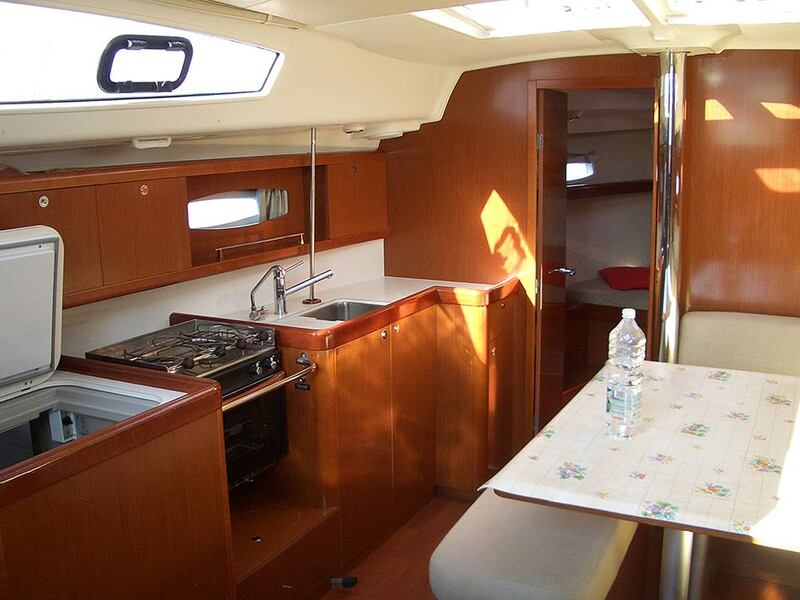 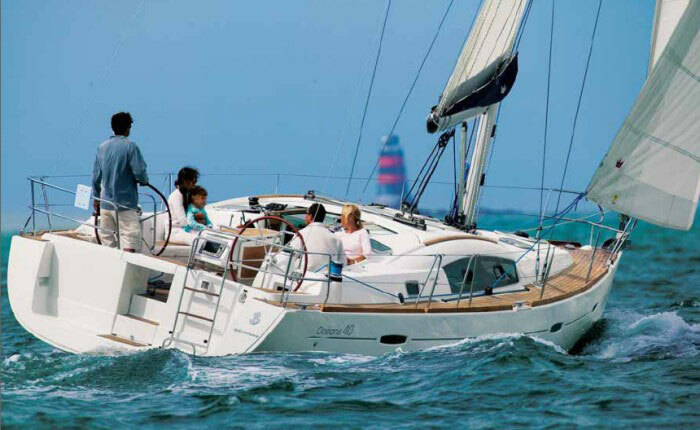 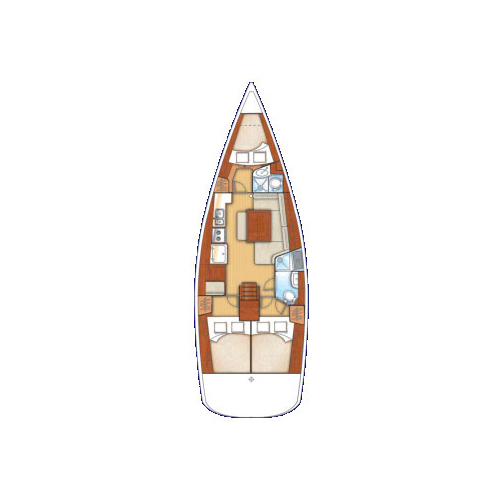 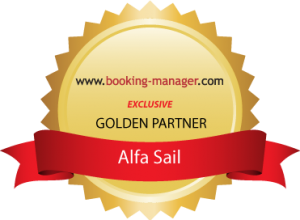 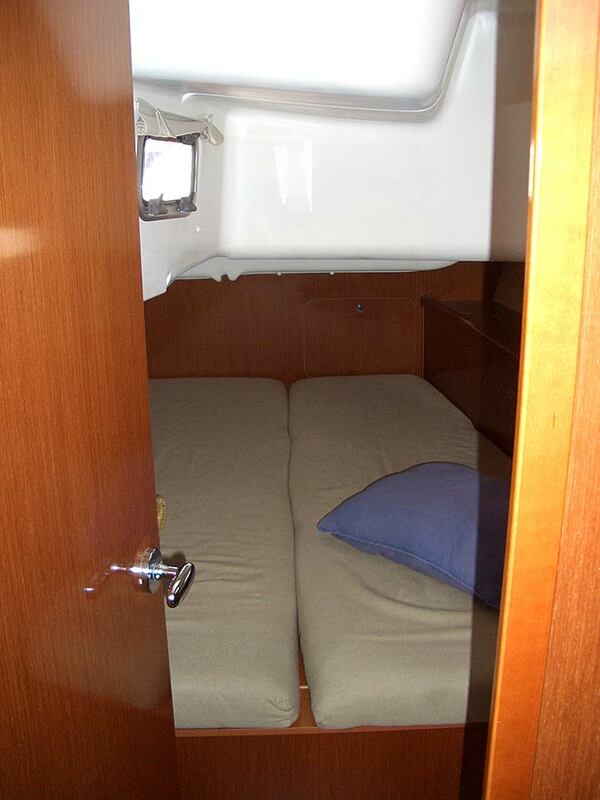 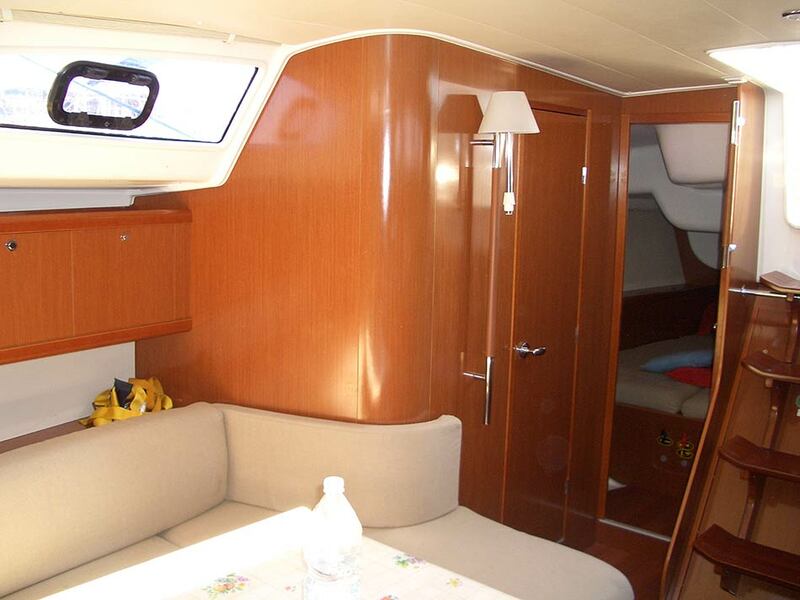 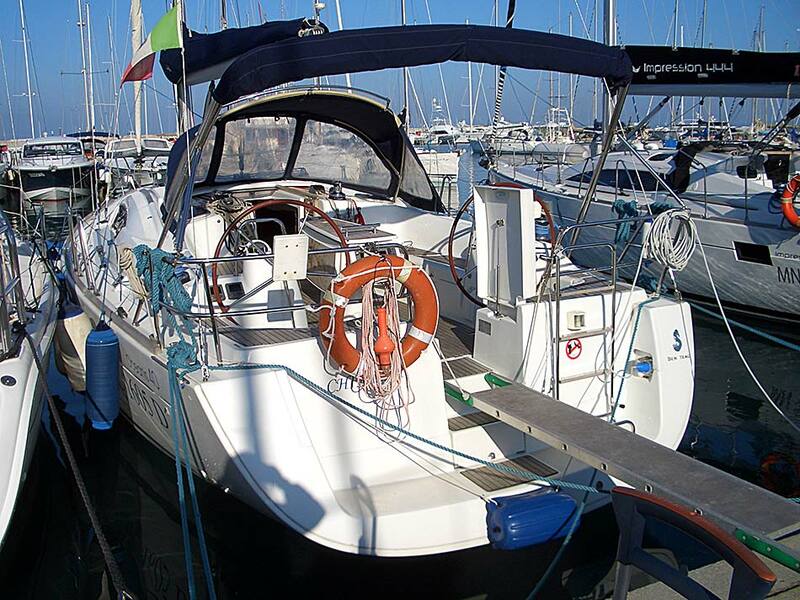 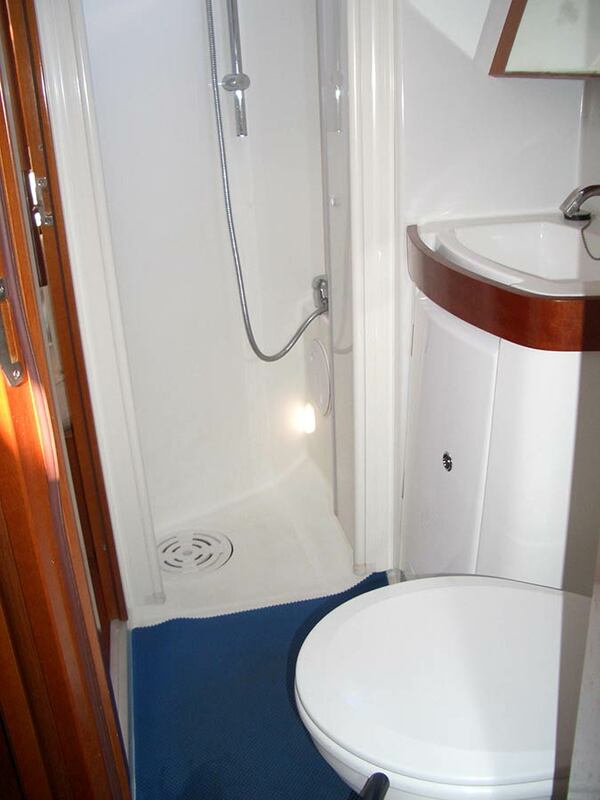 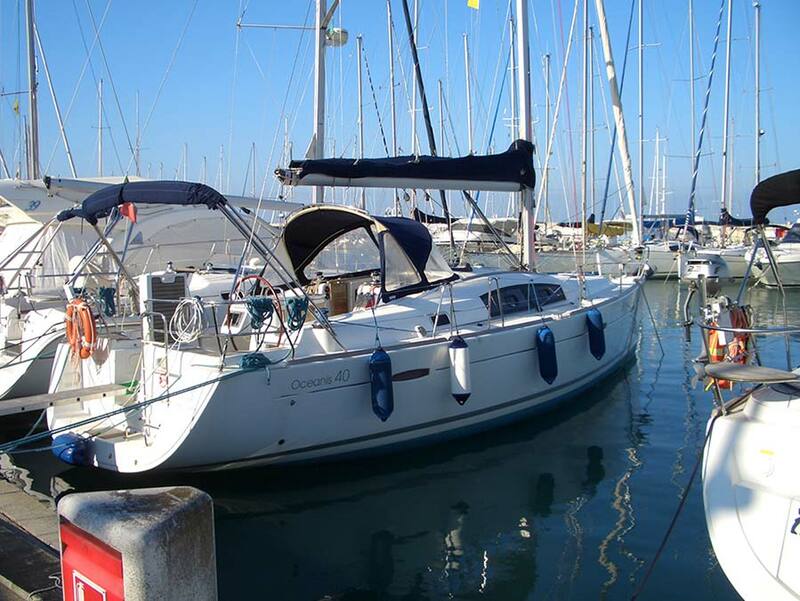 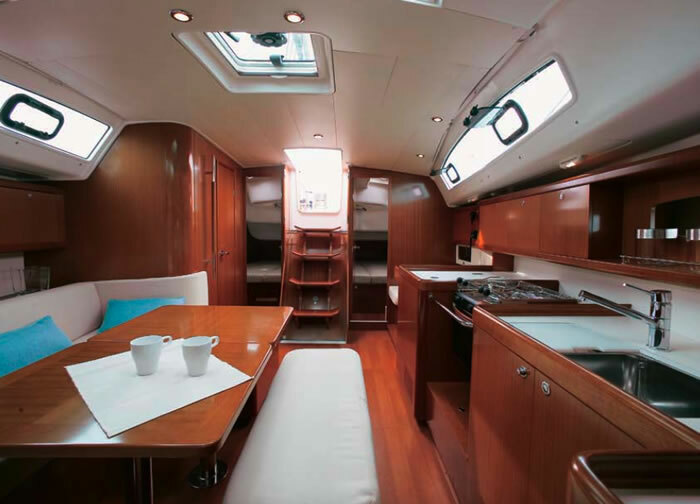 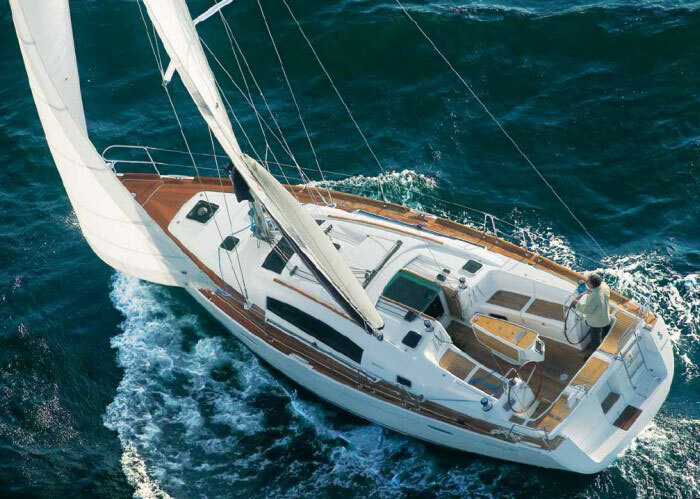 This sailing boat is composed by three cabins and two bathrooms, one of which has a separated shower box, as well as a large cockpit with table where you can pleasantly have lunch, as this open-space is protected by a sprayhood and a bimini top that stop sun rays and wind. 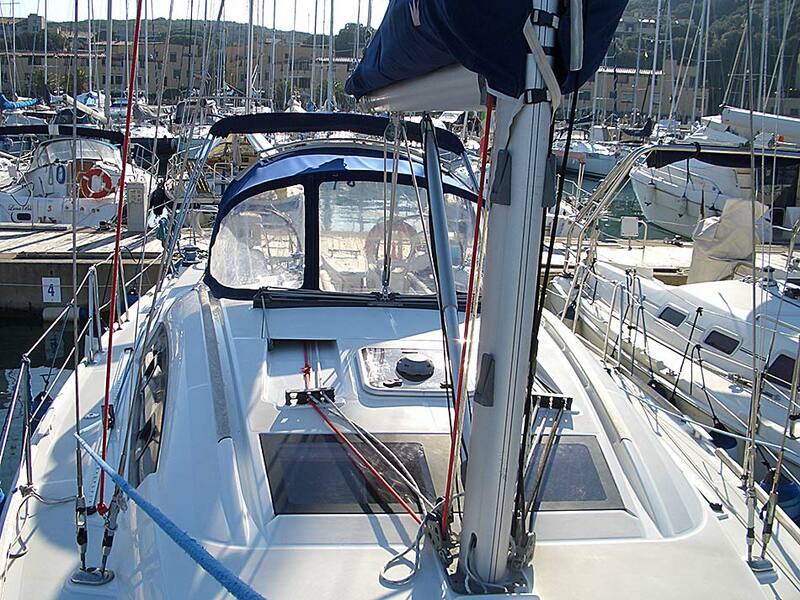 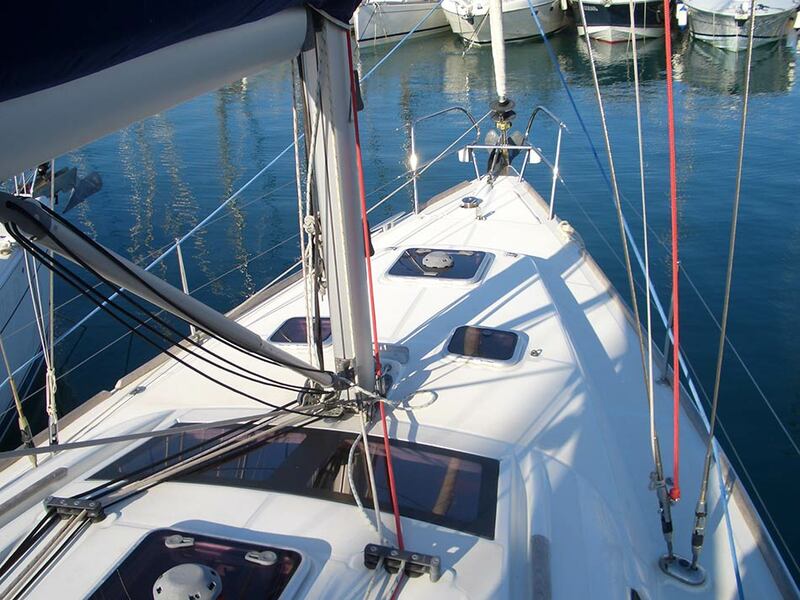 The sails can be easily managed, thanks to the semi-full battened mainsail that can be manoeuvred from the cockpit. 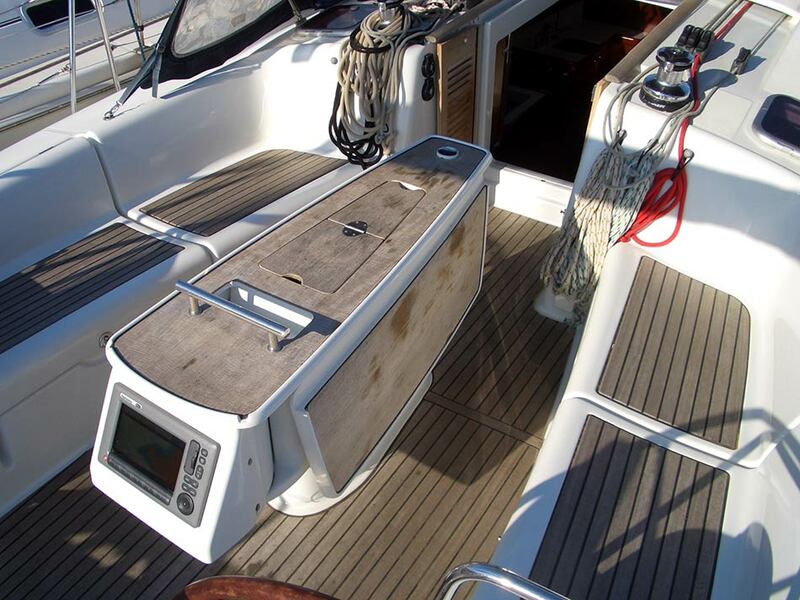 The electric winch in the deckhouse simplifies the sailing operations, so the crew can relax and watch the surprising stability and speed that this boat can develop.